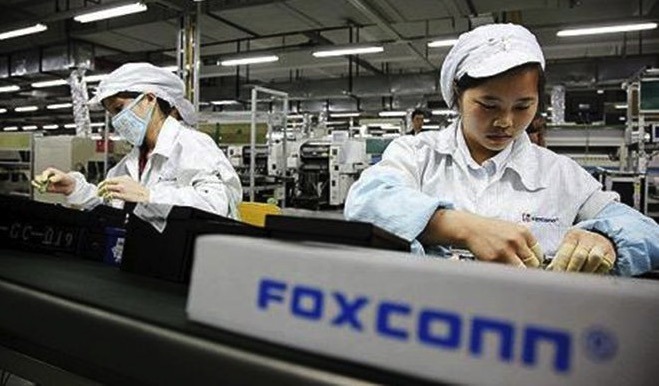 Despite some research by Foxconn with a slightly positive angle towards moving some efforts to the U.S., other Apple supply chain vendors are likely to not move, citing labor and operating costs. According to Chinese-language qq, suppliers like Lens Technologies, an iPhone glass vendor, will not set up shop in the U.S., even if Foxconn does. Lens cites high-wage workers and reluctance amongst the U.S. workforce to accept variable schedules depending on surges and dips in product demands. Positives to U.S. factories cited by Lens are lower power and land costs. Another, unnamed, Apple parts vendor quoted by the report says that a complete supply chain won't exist in the U.S., making the entire fabrication process more nimble in China. An order involving molding metal components takes about 10 days in Shenzhen, but will likely take a month or more in the U.S. without a complete process in-country. In June, Apple reportedly asked iPhone assemblers Foxconn and Pegatron to evaluate the possibility of moving manufacturing efforts to the U.S. Foxconn Chief Executive Terry Gou was said to be critical of the plan, saying that labor and other associated costs would more than double, should the plan come to fruition. Pegatron denied to develop a plan, citing obvious cost concerns. The study was probably spawned because of potential political pressure and taxation for Apple promised by President Elect Donald Trump during campaigning for the office. Trump's campaign promise of a 35 percent tariff levied against products like the iPhone manufactured overseas, is presumed by the President Elect to give companies a significant economic incentive to bring manufacturing jobs back to the U.S.
"To make iPhones, there will need to be a cluster of suppliers in the same place, which the U.S. does not have at the moment," Apple CEO Tim Cook said in an Dec. 2015 interview about a possible shift. "Even if Trump imposes a 45 percent tariff, it is still possible that manufacturers will decide to continue production overseas as long as the costs together with the tariffs are lower than the amount they need to spend on building and running production lines in the U.S."
A 35 percent cost increase, regardless if induced by labor and material shipping costs, or a tariff would likely passed on to consumers. Studies vary on the exact impact, but range between a 10 and 20 percent in Apple's cost to manufacture the phone, between increased labor costs, and the need to ship some components and materials to the U.S. plant.